With constant focus on modern fashion trends, we are successfully indulged in offering a stylish gamut of Jacquard Butti Fabric. The offered butti fabrics are widely known across the globe for their attractive look, perfect finish and softness. Also, the offered range is designed by our adept experts utilizing factory-tested thread and latest machinery in accordance with the set industry norms. "Banarasi Silk House" is one of Biggest Jacquard Manufacturer in Surat, we can manufacture more than 10 lakhs (1 million) fabric per year, we have world best loom it has world best technology to weave world class fabrics, Plus We are the only one in India who has 5376 hooks with electronic Jacquard to Weave world Biggest design. 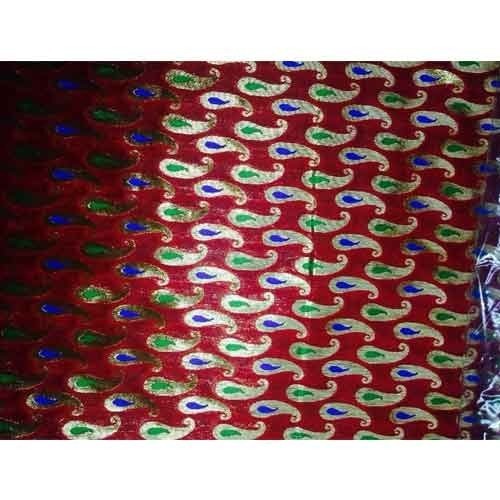 Incepted in the year 2010, at Surat (Gujarat, India), we "Banarasi Silk House" are a well-known Manufacturer, Exporter and Supplier of an elegant array of Jacquard Fabrics, Banarsi Jacquard Fabrics, Banarasi Fabrics, Banarasi Pallu Sarees, Cotton Jacquard Dress Material, Jacquard Butti Fabrics, etc. These products are precisely designed and stitched using optimum quality fabric & yarns with the aid of latest techniques in complete accordance with the international quality norms. The offered range is widely admired among our customers for their unique attributes like eye catching design, perfect finish, soft texture and shrink resistance. In addition to this, we offer these products in variegated sizes, color patterns and designs at market leading rates. In our team, we have adroit and trained quality auditors that check the complete production stage right from the procurement of factor inputs till the final dispatch. Also, the entire range passes through rigorous testing process to make sure their zero manufacturing defects.